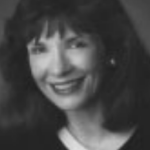 Marianne Jennings is an award-winning newspaper columnist and radio commentator, director of the Joan and David Lincoln Center for Applied Ethics, and professor of legal and ethical studies at Arizona State University. With undergraduate and law degrees from Brigham Young University, Dr. Jennings has written six textbooks, and more than 130 articles. Her column in the Arizona Republic has been reprinted by the Wall Street Journal, the Chicago Tribune, and other newspapers nationwide. A collection of her essays, Nobody Fixes Real Carrot Sticks Anymore, was published in 1994. Journalists are the eyes and ears of society. They gather, sift, and communicate millions of pieces of information. But as Marianne Jennings warns, some journalists believe that the facts are less important than a story that "sells" or that promotes a cause. Professor Jennings delivered her remarks at the February 1999 Center for Constructive Alternatives seminar, "The Fourth Estate: A History of Journalism," which was co-hosted by Hillsdale’s newly established Herbert H. Dow II Program in American Journalism. A lawyer by training and a newspaper columnist by avocation, I teach ethics at a business school. People tell me that’s four oxymorons in one sentence. My unusual career choices have made me realize that lawyers, businessmen, and journalists wrestle with the same ethical concerns. But journalists face the greatest challenge. They not only have to decide whether to follow a code of ethics personally but also whether that code should apply to the stories and the subjects they cover professionally. Tales of lawsuits no court had ever seen involving names no city directory had ever known, poured from me. Tales of prodigals returned, hoboes come into fortune, families driven mad by ghosts, vendettas that ended in love feasts, and all of them full of exotic plot turns involving parrots, chickens, goldfish, serpents, epigrams, and second-act curtains. I made them all up. Was it New Republic associate editor Stephen Glass? He was fired in May 1998 for making up out of whole cloth half a dozen articles and fabricating portions of more than 20 others. Or was it Boston Globe columnists Patricia Smith and Mike Barnicle? It was revealed in June 1998 that they were allowed to keep on writing for years after their editors suspected that they were making up people and events. Or was it CNN’s star producer April Oliver? Oliver was booted from the network in July 1998 after airing a false story claiming that the U.S. military used nerve gas in Laos. Actually, it was Ben Hecht, the legendary newspaperman who began his career at the Chicago Journal. In 1910, as a cub reporter, Hecht confessed to making up news stories and was suspended for a week. He was never again to write fiction as a journalist—but he did go on to do so as a highly successful novelist and Hollywood screenwriter. You may remember seeing the original or one of the many remakes of his most famous screenplay, Front Page, a 1928 comedy about—what else?—reporters caught up in their own lies. Journalists are tempted to fiddle with the truth because they need to write sensational stories that will sell newspapers. The “scoop” was everything back in 1910, and it still is today. interferes with the open marketplace of ideas. Luce was livid when he read this report. He feared that Congress would step in and take control. Fortunately, Congress refrained, and we still have freedom of the press as outlined in the First Amendment. A newspaper publisher was once confronted by a prominent businessman who complained, “I don’t like what your reporters and editors have been saying about my company.” The publisher wisely replied, “I’m sorry, but I can’t control these people.” We should not want to control “these people” through government regulation. But we should expect them to deal honestly and fairly with their subjects, and we should hold them responsible in the courts and in the marketplace. If there is ever to be an amelioration of the condition of mankind, philosophers, theologians, legislators, politicians, and moralists will find that regulation of the press is the most difficult, dangerous, and important problem that they have to resolve. Mankind cannot be governed without it, nor at present with it. A free press is necessary for the effective functioning of our republic. But it is also an invitation to abuse. Given all the scandals that have occurred recently, journalists have been trying to agree upon a professional code of ethics. The American Society of Newspaper Editors and the Society of Professional Journalists have each published their own version. I have read them with interest. They are well crafted and feature many sound ideas. But they err gravely by focusing less on journalists’ conduct than on the “public’s right to know.” In other words, they say a lot about the rights and very little about the responsibilities of the press. The first value is honesty. Journalists should not invent stories or “fudge” facts. Nor should they foster false impressions. This last provision may be the most critical. My son Sam would never tell an outright lie, but he is willing to tell less than the whole truth. His second grade teacher put his name on the chalkboard if he failed to follow the rules. My husband and I asked him every day after school, “Did you get your name on the board?” and he would answer truthfully. When he was in the third grade, we asked the same question, and the answer was always “No.” We were thrilled that his conduct had been so exemplary. This is deeply troubling, especially since television news is the primary source of news in the world today. As syndicated columnist Richard Reeves says, it is a form of mass media that is fraught with ethical problems since millions of viewers believe the camera doesn’t lie. The second value is independence. Journalists should avoid conflicts of interest. One such conflict occurred in 1998, when the Walt Disney Company, which owns Capital Cities/ABC Inc., killed an ABC television news magazine series on lax security and pedophilia in amusement parks. Another conflict occurred when ABC anchor and celebrity interviewer Barbara Walters ran a flattering profile of composer Andrew Lloyd Webber just before Sunset Boulevard opened in 1997. What Ms. Walters failed to disclose and what the New York Post revealed the following week was that she had invested $100,000 in the new Broadway musical. The “truth” in the January 25, 1999 issue of People profile of Chief Justice William Rehnquist was meant to wound: “Among the controversies [surrounding Rehnquist] were reports that covenants on his house in Phoenix and a vacation home in Vermont prohibited their resale to racial or ethnic minorities.” A parenthetical note followed: “(Rehnquist claimed he had been unaware of the covenants. )” The obvious implication is that the Supreme Court is led by a closet racist. Now, one of my books is a real estate law text (in its fifth edition), and I can assure you that there are very few properties in the United States that don’t have racial covenants hidden somewhere in their history. Such covenants were declared unconstitutional in the 1950s, but to require property owners or clerks to physically strike them from all the land records in the nation would be an undertaking greater than trying to prepare for Y2K. We don’t have the resources, we don’t have the funds, and it is plain silly since the covenants have been declared invalid. Furthermore, covenants often appear only in chains of title and not in the deeds. So property owners are not likely to know that they even exist. Fairness is also endangered by personal bias. A journalist may agree with the individuals, organizations, and causes he is covering, so it may be hard for him to report anything negative. Similarly, he may disagree and find it hard to say anything positive. Scan any newspaper for stories about, say, the environment, and you will quickly discover that many journalists are predisposed to consider environmental activists the “good guys” and oil company presidents and loggers the “bad guys.” Or watch all the junk science television news specials about pesticides, food additives, breast implants, nuclear power, and global warming. Reporters are reputed to be natural-born skeptics, but they almost never challenge the alarmists on these important issues. The fourth value is productiveness. Journalists should do their own homework. The secret of success in any field is plain hard work, but in journalism it is also the key to getting the story right. Some of the best reporters are often referred to sneeringly as “junkyard journalists,” but that’s because they go where no one else is willing to go and they check up on the little leads that appear to be dead ends. Doing your work means that you do not accept the word of somebody else; you check the facts yourself. That’s what Rod Decker, a local KUTV reporter, did in Salt Lake City in 1998. He broke one of the biggest stories of the year when he discovered that bribery and widespread corruption influences the way Olympic sites are chosen. Although most members of the community were uncomfortable with his revelations and some became hostile, Decker persisted. Then there is the enterprising, diligent, and courageous reporting of Newsweek veteran Michael Isikoff. As one source admits, “Years from now, when we look back on the Clinton impeachment scandal, Michael Isikoff’s name will be stamped on the story.” Despite his editors’ strong disapproval, he painstakingly investigated allegations of sexual misconduct on the part of the president. He did so as a serious reporter, not a tabloid sleazehound, yet he is now branded as such by Clinton supporters. It doesn’t matter how many people help a journalist on a story. When it appears in print or on the air with his name on it, he has to take responsibility for it. This is a hard lesson that even veteran journalists have difficulty learning. Remember the dishonest CNN report I mentioned earlier about alleged use of nerve gas in Laos? The “star reporter” who presented that report to the American public was Peter Arnett. Arnett was not fired. He was reprimanded by the network after insisting that he hadn’t really done any real reporting at all; he had just read the script that was handed to him. But he allowed his name to appear in the credits for a story that turned out to be false. Shouldn’t he have held himself accountable? Clearly, value-based decision making is lacking in the modern media. As consumers of the news, we ought to do everything in our power to remind journalists that it should be paramount.